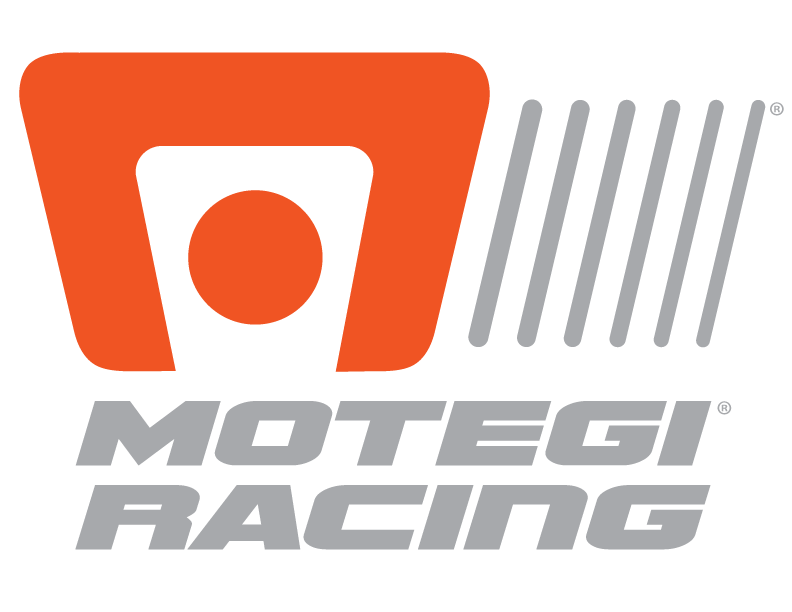 Drivers using Motegi Racing wheels enjoyed success around the globe during the weekend of July 19-20, registering five victories and 16 total podium finishes in a variety of major motorsports events. 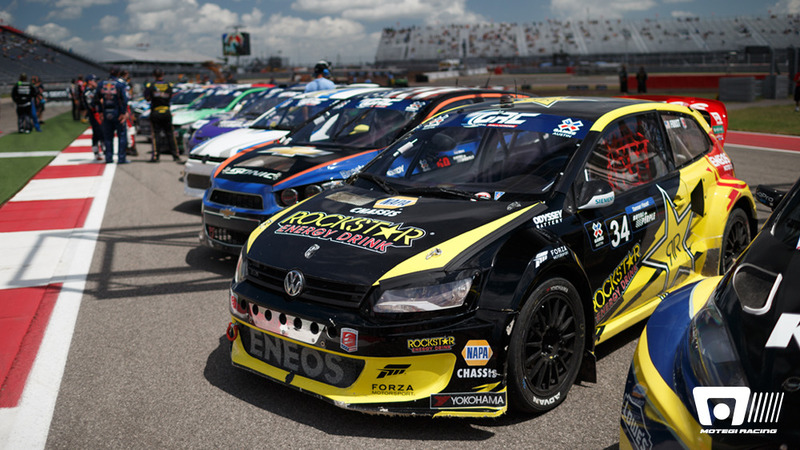 Tanner Foust won the Red Bull Global Rallycross in New York, and second place Nelson Piquet Jr. took over the points lead after Scott Speed was disqualified. Kuno Wittmer finished second in the first and then won the second Pirelli World Challenge race in Toronto with Anthony Lazzaro second Sunday, and Henrik Hedman took over the GT-A class points lead with his pair of podium finishes in the doubleheader. Nico Hulkenberg continued his remarkable streak of scoring points in every FIA Formula One World Championship event this year, finishing seventh in his Sahara Force India Mercedes VJM09. Teammate Sergio Perez finished tenth, giving Sahara Force India another double points finish and retaining fifth place in the Constructors championship. 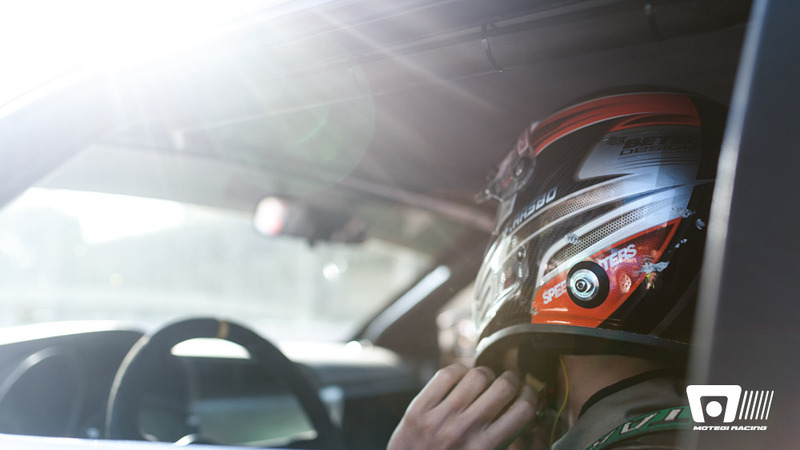 Fredric Aasbo finished fourth in the Formula Drift event at Evergreen Speedway in Monroe, Washington, and retained his second place in the championship standings. AF Corse won the LMGTE class and SMP Racing captured GTC class honors in the Four Hours of Red Bull Ring European Le Mans Series race in Austria. Tanner Foust snapped a 12-race winless streak in Red Bull Global Rallycross competition with a thrilling victory in the Volkswagen Rallycross NY Sunday at Nassau Coliseum in New York. Foust, driving the No. 34 Volkswagen Andretti Rallycross Rockstar VW Polo, beat SH Racing Rallycross Ford Fiesta ST driver Nelson Piquet Jr. in a mad dash to the finish. Motegi’s Scott Speed crossed the finish line in second place but was disqualified for making unapproved adjustments to his No. 77 Volkswagen Andretti Rallycross 7-Up VW Polo during a red flag and was classified in ninth place. That dropped him from the points lead to second behind Piquet Jr., 184-149. Speed brought a one-point lead over Piquet Jr. into the event, and as the leader after the first three events, he is still hoping to continue a tradition that has occurred three times – the points leader after the first three events has gone on to win the title. Faust got off to a rough start in the 2014 Red Bull Global Rallycross season, so Sunday’s victory was very welcome. “This (victory) was exactly what we needed to do,” Faust said. “It’s been a tough year—the guys with the most finely tuned road racing skills have really dominated this year, and this was a course that road racing skill really played in. Luckily, I was able to use a little bit of rallycross skill, focusing on starting, because the track was really hard to pass on in order to get the job done. 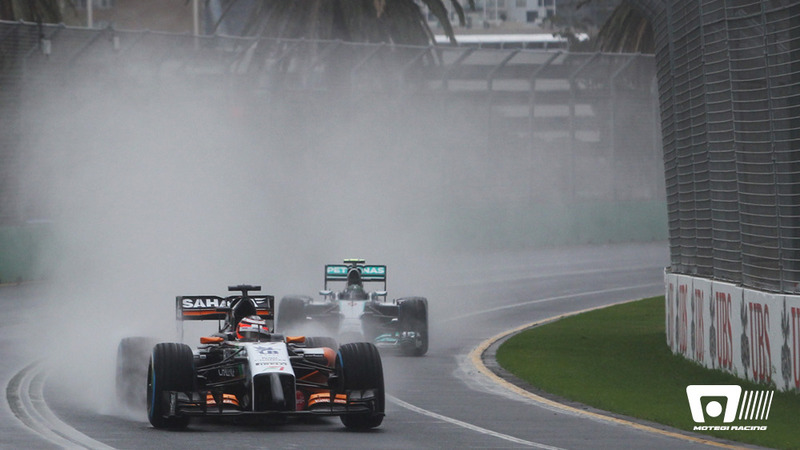 Piquet benefitted most from Speed’s disqualification. In GRC Lites, Kevin Eriksson earned his first career victory just four days after his 18th birthday, winning over Olsbergs MSE teammate Mitchell DeJong and Pedro Piquet. Piquet, the 15-year-old brother of Nelson Piquet Jr., and fourth place finisher Oliver Eriksson were each making their GRC Lites race debuts in New York. Motegi is the spec wheel for GRC Lites. Making a one-off appearance to boost Dodge’s new customer car program, Kuno Wittmer of Montreal finished second in the first and won the second Pirelli World Challenge race in Toronto. A regular in the IMSA Tudor United SportsCar Championship series, Wittmer scored his seventh career Pirelli World Challenge series victory in the No. 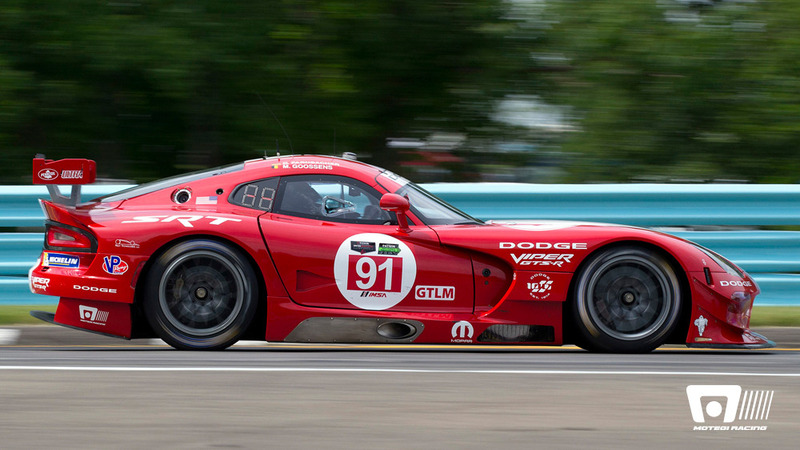 92 Dodge/SRT Motorsports Dodge Viper SRT GT3-R.
“Definitely a better result today than yesterday, not that second is a bad result,” Wittmer said. “A second place and a first place on weekend like this when the schedule is so condensed and we don’t have much practice time, it’s a very exciting feeling. And winning in front of a home crowd it’s even more exciting, I can’t even begin to explain how excited I am right now – I’m still on a high, an hour after the race, trying to drink water to calm the adrenaline down. Meanwhile, Henrik Hedman used a pair of third-place podium finishes in his No. 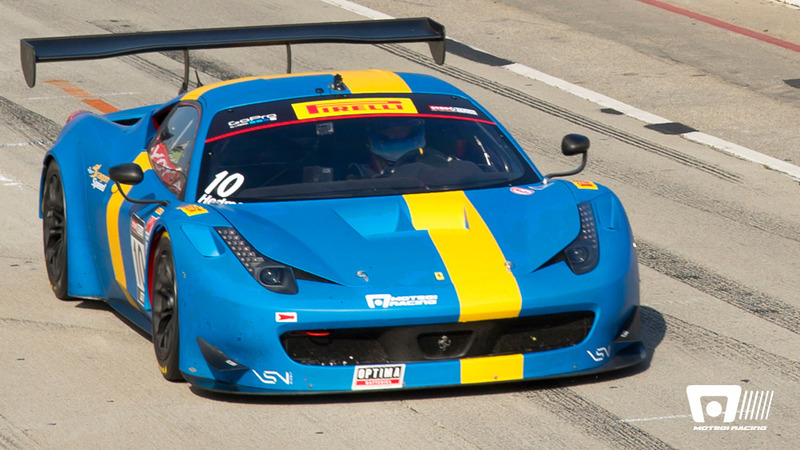 10 DragonSpeed Ferrari 458 Italia to take over the GT-A class points lead. He has 469 points, 26 ahead of Motegi driver Dan Knox, who drove the No. 80 ACS Manufacturing, Inc./Performance SpeedTech Dodge Viper SRT GT3-R to a second place Sunday in Toronto. Anthony Lazzaro finished second to Wittmer Sunday in his No. 61 R. Ferri Ferrari 458 Italia and strengthened his hold on fifth place in the GT championship standings, and he is now only 23 points out of third place. A technical gremlin that shut down his Hankook Tires Toyota Scion tC prepared by Papadakis Racing midway through a run forced Fredrik Aasbo to settle for fourth place in the Formula Drift event at Evergreen Speedway in Monroe, Washington. Aasbo ranks second in the Formula Drift championship standings heading into the next event, Sept. 12-13 at Texas Motor Speedway. Sahara Force India teammates Nico Hulkenberg and Sergio Perez scored another double podium – and double points — finish Sunday in the Grand Prix of Germany. Hulkenberg finished seventh and Perez tenth. Sahara Force India retained its fifth place standing in the Constructors championship standings. Hulkenberg has scored points in every Formula One race this season and ranks seventh in the Drivers championship with 69 points. Perez, who has the team’s only podium finish this year with his third place at Bahrain, ranks 11th with 29 points. Perez is only one point out of a top ten placing. The No. 55 AF Corse Ferrari 458 Italia of Duncan Cameron, Matt Griffin and Michele Rugolo claimed its second European Le Mans Series victory of the 2014 season in the Four Hours of Red Bull Ring and took over the lead of the LMGTE championship standings. It finished ahead of the No. 81 Kessel Racing and No. 66 JMW Motorsport Ferraris. In GTC, SMP Racing grabbed the first two steps of the class podium – the No. 71 of Kirill Ladygin and Aleksey Basov ahead of the No. 73 of Olivier Beretta, David Markosov and Anton Ladygin which took its third second place of the year. The No. 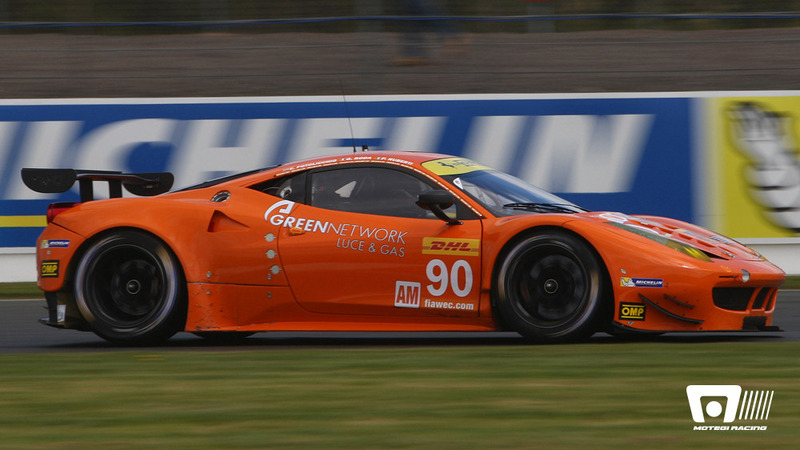 95 AF Corse Ferrari of Cedric Sbirrazzuoli and Adrien Leener was third in GTC. 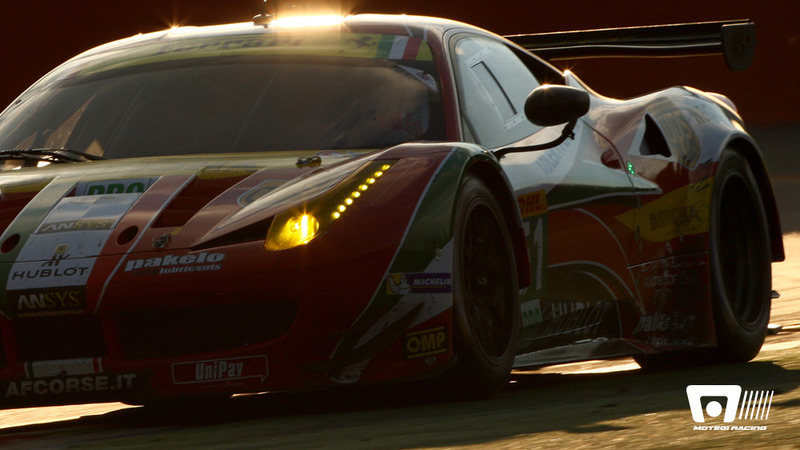 The top three all drove Ferrari 458 Italia GT3 race cars mounted on Motegi wheels.